Brantford was the third city in the world to artificially fluoridate there public water supply. The test phase began in 1945. According to the Brantford Expositor archives there is two articles posted about water fluoridation in 1945. The first was on January 17th 1945, titled: "Fluorine Plans Are Advanced"
This article explains that the fluorine committee had been formed. With C. C. Cariss as the as the chairman, Dr. F. J. Wentworth as Vice chairman, and city clerk E. J. Campbell as secretary. It then goes on to say that fluoride has very large dental benefits, as well as having a positive effect on hearing. The second article was posted on September 26th 1945, titled: "Brantford Now Adding Fluorine to city water"
Here is the first section of the article. "Pioneering in a new field of public health. The city of Brantford is the first municipality in Canada to add fluorine to the public water supply, as a means of improving the dental health of the community. The public utilities commission disclosed today that fluorine has been added to the water for a period of three months, without any notification to the public, and there has been no public reaction. Not one complaint has been received of any "taste" or any difference since the fluorination project started last June." It then goes on to say that the commission decided that fluorine had been given a fair trial without publicity, and it was now time to inform the public. The fluorine project is a long range plan which will require a number of years to prove or disprove its value as an aid to dental health. I looked for follow up studies about water fluoridation in Brantford or Brant county. I have been unable to find a single one. I spoke to several people in the public utilities commission, but none of them knew of any, and they did not even know when water fluoridation had started. There is no Brantford Expositor archives to any follow up testing either. I also did extensive research into who the people on the fluorine committee where. Once again to my surprise there are next to no records of these people. I was able to come up with some marriage certificates but nothing past that. Although while I was researching these men, I came across a huge conflict of interest. 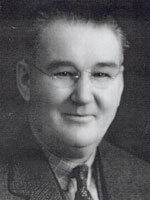 J. P. Ryan served as an alderman from 1932 - 1940, and as mayor from 1940 - 1945. 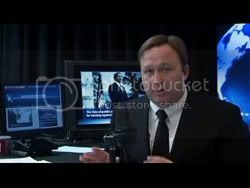 He resigned within two months after water fluoridation became public. From 1932 until 1949 (the time of his death) he sat on the Brantford hospital and medical boards, as well as being the chairman of the Industrial board. Thats right chairman of the Indutrial board (Source of the sodium fluoride) and the medical board (where they have promoted it as healthy for 65 years). How is that for a conflict of interest? With this being the case, I decided to speak to our medical officer of health Dr. Lock. When he did not return my many phone calls, I went straight into his office to speak with him. He told me that fluoride is a natural occurring substance (which is a lie), and that he supports the practice of water fluoridation. For the poor people in the community that cannot afford toothpaste. After that we went to city council and requested that a vote be held. So that the public could decide for themselves. This request was denied. Water fluoridation began in Brantford in the year 1945, with a requirement of further testing. No further testing has been done. The people responsible for starting the project did so without any public input, and even though the CDC hails water fluoridation as one of the top 20 achievements of the 20th century. These people are not added to the history books. The mayor at the time had a very large conflict of interest in the matter. We have a head medical officer who is ignorant to the facts of fluoride, or has a reason to be lying about it. And also uses a bogus reason for supporting the practice. We have a city council that will not allow the people of Brantford to vote on the issue. This is why we need the people to stand up and demand justice! We Are Change Brantford has been working on our petition, under the Ontario fluoridation act a petition with 10% of the populations signatures can force a vote. So what is being done right now (FEB 2013) to rid the Brantford tap water of flouride? How can I get involved? What does Brantford do with it's municipal sludge waste? Is that going to a "green" program to be spread over farmers food crops? according to the 2012 report there was found a .10% fluoride result value. there is nothing for 2013 posted. It is said that The unnaturally occurring type of Fluoride is a cause of detrimental health to the pineal gland located in the brain. So why does dental health supersede brain health? What about now in 2017 they have switched to a liquid form... it's toxic waste we are consuming ..this needs to stop !